Manage your senior properties with time to spare while giving residents the highest level of care. Only RealPage provides a comprehensive marketing solution for assisted living—an integrated lead-generation platform. We nurture leads. 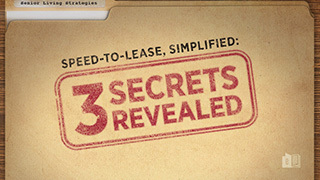 You lease more units, reduce overall marketing expense, and free on-site sales staff to focus on occupancy. A caregiver’s best friend in the field. Access real-time medication information and alerts through an interface with an eMAR. Eliminate cost creep by performing assessments only as needed. Access automated reporting showing trends. Mobilize maintenance processes while measuring performance and managing conditions. Know the numbers with accounting and budgeting solutions. And stay organized with document management featuring electronic signature provided through integration with DocuSign®. The largest in the U.S., the RealPage Senior Living Contact Center is staffed with friendly, compassionate professionals who build relationships with your prospects, and increase the chance you’ll never miss a leasing opportunity. First impressions are everything. Make the census simpler. Automate move-in and move-out processes and know resident locations with our robust software solution providing real-time information synchronized with your property management system. Document and report all incidents, and gain the ability to see trends and better manage the risk of events like falls, altercations, and accidents. The senior care assessment tool helps you develop a better care plan for your senior residents. Property management accounting and budgeting integration with other senior software tools keeps your senior care operations running smoothly. Maximize every dollar in your marketing budget with comprehensive lead tracking and reporting. RealPage senior software and service solutions, from utility billing and consulting, to senior call center services, for smoother operations. Our staff management software helps you make sure you’re not over- or understaffed at your senior communities. 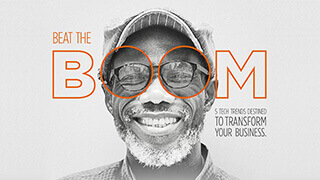 Discover the 5 tech trends destined to transform your business. RealPage Senior Living Software puts you first so you can put your residents first. This informative eBook walks you through all the payment options that are available and help you learn how you can accept credit and debit cards, eliminate the associated costs, and protect your property from legal and financial risks.